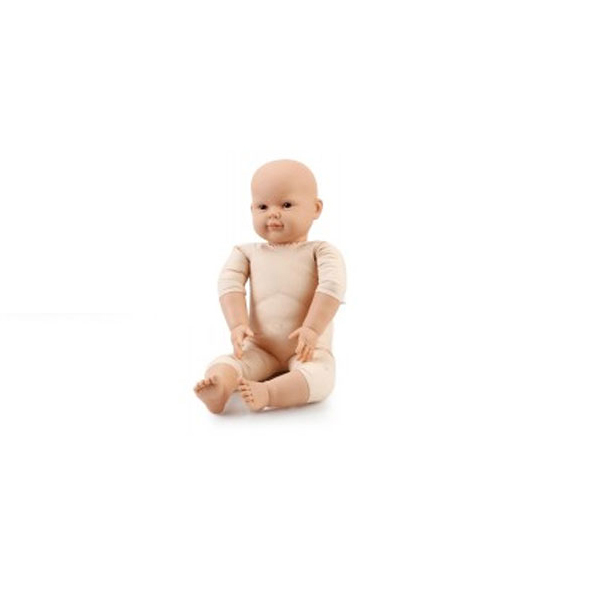 The Touch-Needs Water Baby demonstration doll is designed specifically for Parent & Tot Instructors. My personal experience is that when I can demonstrate or model a skill with this lifelike doll, it really helps my young students understand what they are going to do next and helps alleviate anxiety. 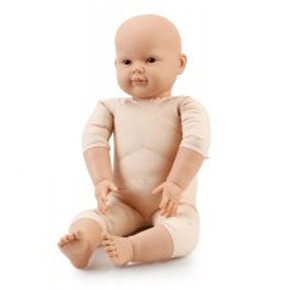 As an added bonus, the Touch-Needs Water Baby demonstration dolls always perform the infant-toddler skills happily! Not one of my Touch-Needs dolls has ever cried! They are great role models! I have also found that my real students love to give them high fives! These lifelike dolls can be an integral part of your success with your Parent & Tot classes too! The weight of the doll allows for a realistic demonstration as the doll floats in the water like a real baby. With its flexible arms and legs, you can show your students how to reach for the wall, show your parents how to manipulate the legs, and much more. Order your Touch-Needs Water Baby today! The Touch-Needs Water Baby is made of a hardy 70% polyester/30% cotton mix. 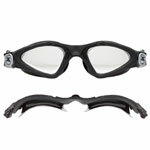 This helps to reduce and slow disintegration that is common when material is continually submerged in water. 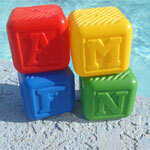 The design and structure of the water doll make it a great demonstration tool for teaching Parent & Tot classes. However, water environment is as important to the Touch-Needs water babies as it is to real babies. 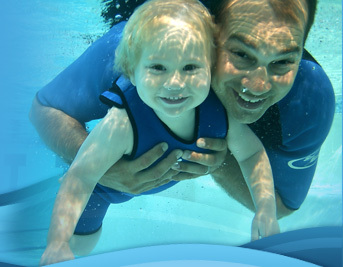 The water dolls' material is more durable than other life-like dolls, but will perish rapidly if subjected to a high level of chemicals in the water and/or if not left in a dry environment between swimming sessions. The manufacturer does not provide any warranty on these dolls, therefore, there are no refunds. Because they are unable to control the water environment the dolls are subjected to during swimming classes (with chemical levels varying from pool to pool), they do not take responsibility for premature disintegration of this product. Once the doll has been submerged in water, there are no exchanges or refunds. 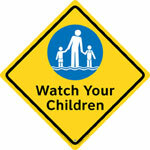 Clarion® Pool Safety Sign - "Watch Your Children"